Leo Vegas Casino likes to refer to itself as the ‘King of Mobile Casino’ and considering they picked up two separate awards for ‘Casino Operator of the Year 2016’ (from Gaming Intelligence and International Gaming Awards), perhaps they are right. Leo Vegas has certainly been a roaring success in recent years, with a particular focus on the mobile casino market. Leo Vegas features game from a who’s who list of top industry games producers, including: Net Entertainment, Microgaming, IGT, Bally, Nextgen, Evolution Gaming, Cryptologic, Play’N GO, Yggdrasil Gaming and Quickspin. With a mixture of classic casino games and the brightest new slot releases, this is an online casino at the top of its game. New players at Leo Vegas can claim 20 free spins upon signing up. That’s right – before you’ve even made your first deposit. Leo Vegas has some of the most popular slot games out there in its portfolio of games, and at the same time it has not neglected the casino games either. In fact there is a healthy selection of traditional games on offer including a thriving live casino which features roulette games streamed direct from real life casinos in the Mediterranean. Leo Vegas started out fully focused on the mobile casino market and that remains its specialty, as it offers a great range of high-quality games for mobile users. The simple, intuitively designed website is easy to access no matter whether you are playing on your phone or a big screen, and the quality of games is of the highest order. Leo Vegas was one of the first UK online casinos to focus entirely on the mobile casino market, and this shows in the quality of titles available for their mobile consumers today, even though the site is now also available on desktop. The games portfolio includes industry giants such as NetEnt and Microgaming along with innovative newcomers like Yggdrasil Gaming and Quickspin, and the net result is a fantastic gaming experience for the player. To sign up with Leo Vegas Casino you must simply enter your name, address and date of birth along with valid contact details. Clients must be at least 18 years of age and it is important that all the information you enter is correct because you may be asked to send scans of your photo ID or proof of address at a later date to confirm your information. Don’t open more than one account, or you risk having all your accounts closed and being restricted from opening a new one. Leo Vegas are licensed and regulated by the UK Gambling Commission, and the site encourages players to practice responsible gambling on the site. There are a number of options available to clients to enable them to restrict their own gambling, such as: Deposit limit; Loss limit; Wagering limit; Session limit; Time Alert; Access to Player History; Pause Account; and Self-Assessment. Leo Vegas was designed first as a mobile casino, and afterwards adapted for desktops as well, meaning that as a mobile casino it is second to none. Whether you play on a mobile or fixed device you will be guaranteed a huge selection of games, with over 400 titles on offer from pretty much every top developer you can think of. Apart from more than 300 slots (180 of which are available on mobile) you’ve got a fantastic selection of casino games, jackpots and more at this popular casino. Roulette: there are a massive 27 different varieties of roulette on the Leo Vegas site,many of which are available for mobile play, including live feeds from Maltese casinos. If you hypnotised by the spin of the roulette wheel then you’ll never want to leave the Leo Vegas casino. Blackjack: again you are spoiled for choice when it comes to Blackjack tables, with around 20 available including live dealer tables, Blackjack Surrender, Perfect Pairs, and Blackjack Double Exposure. Poker: there are some poker variations available at Leo Vegas, although if poker is your main game you will need to look elsewhere. However the site does offer more than enough options for the casual fan including Three Card Poker, Caribbean Stud Poker, Pai Gow Poker and games of Casino Texas Hold’em. Baccarat: plenty of options for Baccarat aficionados too, with 9 different tables to choose from including a great live dealer option and all new Baccarat Squeeze. Other Games: for something different why not try the blackjack inspired Imperial 17s or the game of chance that is Red Dog. Leo Vegas hasn’t ignored fans of old school casino gaming, featuring a selection of 21 different 3-reel classic slot games and a selection of video poker titles. Video Poker: one of the oldest online casino games is represented by titles like Joker Poker and Jacks or Better for fans of the old style poker classic. Classic 3 Reel Slots: five reels too much for you? Don’t worry as there are plenty of good old fashioned three-reelers available at Leo Vegas, like: 5xMagic, SuperNudge, Jester Joker, Joker 8000 and Super Lucky Reels. 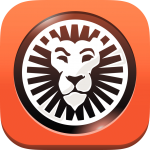 All players become part of the Leo Vegas loyalty programme as soon as they register, and although it is not something which is particularly heavily promoted on the site your points can earn you some decent rewards. Players earn points based on every £1 they spend playing on the site which enables you to increase your VIP level and earn more advantages. As you move higher up the VIP scale you will also get access to special promotions and bonus offers from Leo Vegas. You can deposit with debit/credit cards, electronic wallets and bank transfers at Leo Vegas. Withdrawals are processed via the same method and same account that you used for your deposit. Deposits are all free of charge and you have at least three free withdrawals per month – refer to the loyalty programme table for more info on that. Online Bank Transfer: transfer funds via your bank account and you can withdraw the same day. These transfers take between 1 and 3 working days depending on your bank. MasterCard/Visa: deposit and withdraw using either Visa or Mastercard for instant deposits of at least £5. Electronic Wallets: Skrill, Paysafe, Trustly and Neteller are all available for instant deposits and withdrawals within 24 working hours. If you need more information then click the Support link at the top left of the screen to contact Leo Vegas’ Customer Support Team. FAQ: a lot of the important issues are dealt with in the FAQ section of the site which you can get to via the same Support button. Email: you can email support@leovegas.com and they will endeavour to get back to you within 24 hours with an answer. Live Chat: live chat is available day and night for an instant response to your questions. Telephone: call free of charge from the UK or use the international number to get in touch 24/7. Ready to sign up? Claim your 100% deposit bonus and free spins at Leo Vegas.